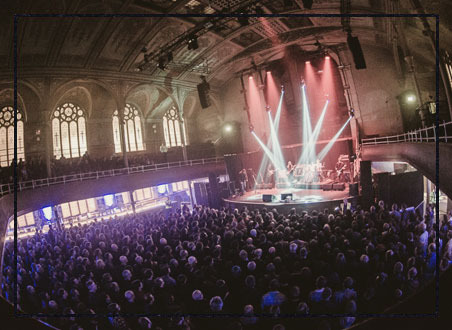 dbnAudile designed, supplied and installed a highly effective production lighting rig for the Albert Hall in Manchester – a venue which has been voted the best in the city three years running! 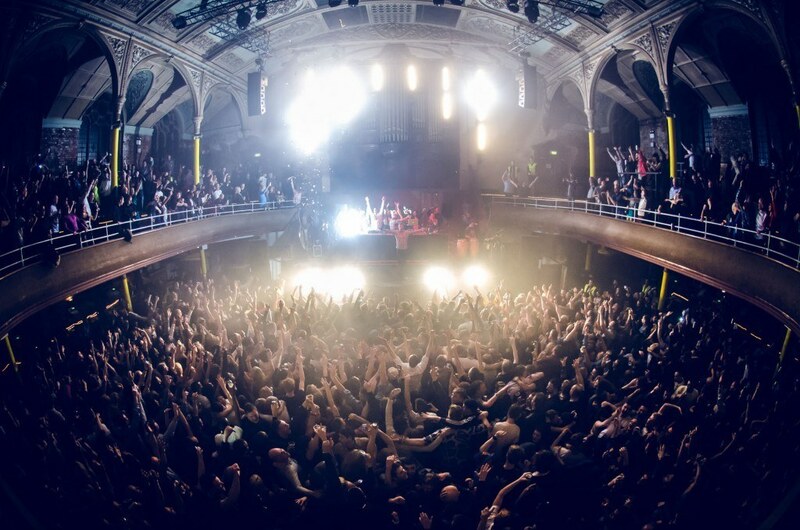 The stunning space – original features including double height windows with stained glass detail and a magnificent organ fully renovated with pipes left exposed – was lovingly restored to its former splendour, and has become one of Manchester’s most popular venues under independent owners Trof. 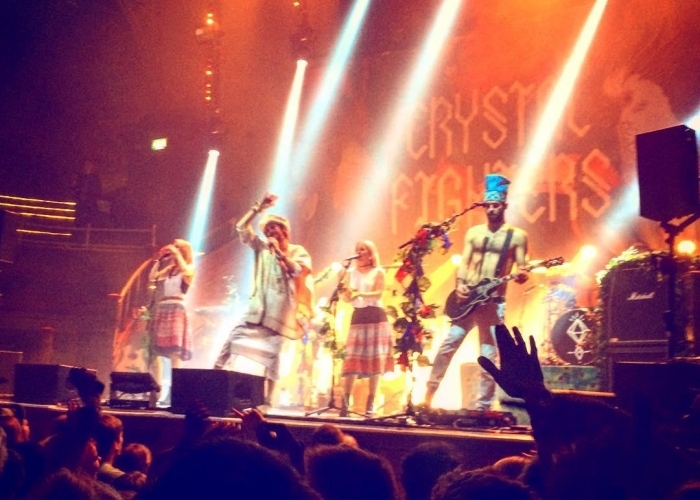 Trof have a penchant for discovering found spaces and turning them into buzzing entertainment hubs, and the Albert Hall is no exception, with promoters and private clients constantly clamouring to book it for bands, comedy and cabaret shows, club nights, parties and corporate events. dbnAudile’s Stephen Page has worked on other Trof projects and was delighted to be asked to create a house lighting design for the Albert Hall. “Having the chance to work in such a fabulous space was incredible enough. Trof always put production values at the top of the agenda, and my challenge was to come up with a design that compliments the amazing architecture and is harmonious with the environment”. The weight loading in the roof of the historic building is restricted, so dbnAudile specified and installed a series of Slick OV40 spreader trusses with a particular strength to weight ratio, to create a more flexible rigging arrangement and maximise usable capacity. Lift-Turn-Move’s LoadGuard hoists are used throughout. These Category A motors are certified to operate without needing additional safeties, essential as roof access is difficult given the height and construction of the Hall. The motors are top hung and LTM have down-rated the clutches to further protect against overloading of the roof structure. There are two lighting trusses above the stage, a 12 metre one at the front and a 9 metre one further back upstage - leaving the organ pipes as the backdrop. The back truss is rigged with six Clay Paky Sharpies, four Robe ROBIN LEDWash 600s, six Martin Atomic strobes and 12 x Showtec Sunstrips. These are all hung on six drop bars at three different lengths, longest offstage and the shortest onstage in a mirrored configuration. This flourish of ingenuity with the positioning adds an enormous amount of depth to the whole space, it amplifies the size of the lighting rig and also increases the scope of where the different fixtures can be focused. On the front truss are another four LEDWash 600s and four CP Alpha Wash 575s which provide for further effects, front and key lighting. For control, Page specified an Avolites Tiger Touch, and dbnAudile also supply any extras or specials as required by the different artists. 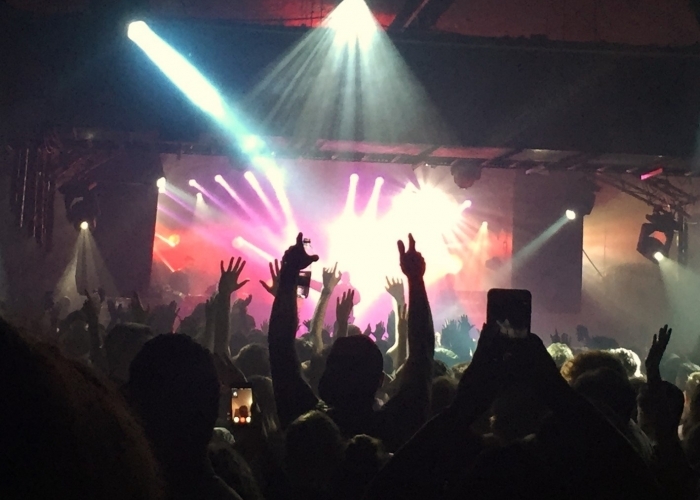 The less-is-more approach brings real clarity to the rig and more than enough lighting dynamics for the event in hand – be it a band, a stand-up comedian or a banging club night. The units have been thoughtfully selected to offer both the house lighting operators from dbnAudile and also any touring / guest LDs plenty of options, and the whole system has been carefully installed so as to maximise impact whilst working with the space and structure of the building. Currently dbnAudile’s Chris Phillips is overseeing everything day-to-day on site. A small lighting system has also been integrated into the bar / restaurant and smaller performance space downstairs. dbnAudile looked out six of their original 1990s High End Trackspots – they still have a closely guarded stash, treated with reverential amounts of TLC – and they are still going strong after nearly 20 years of active service. “They are still a great fixture with a proper choreographed sound to light function which has never been bettered!” states Page, adding that the lamp also gives the trackspot a unique colour rendition compared to more modern discharge or LED fixtures. 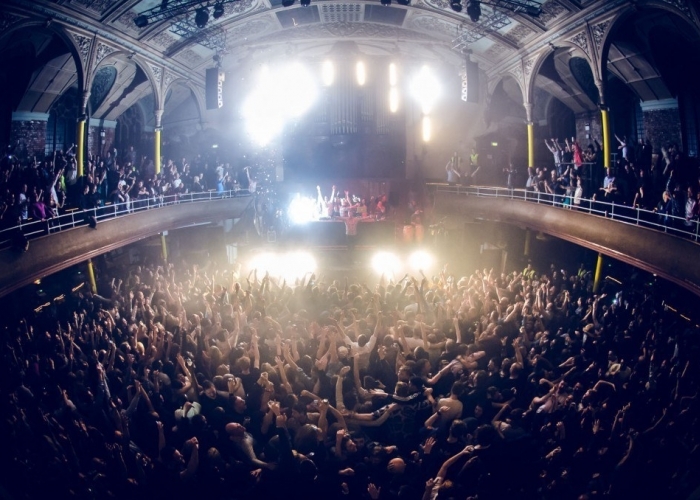 Their high vintage value also hits the aesthetic button for blending classic and contemporary elements which permeates the renovated Albert Hall – a venue with a past looking to the very bright future.